earlier title Life and Labors of Rt. Rev. Frederic Baraga by P. Chrysostomus Verwyst, O.F.M. 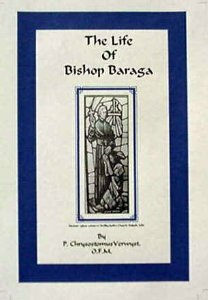 (1900) The most thorough biography of Bishop Baraga, written about 30 years after his death. Includes many original sources, letters to and from Bishop Baraga and personal anecdotes. Includes history of the missionary activities before and after the time of Frederic Baraga.